How to trade a Panic is one of the most important skills you will need to survive the years ahead. This is where the greatest amount of money is both won as well as lost. There have been few traders over the decades that have really mastered this fine art. It takes a lot of courage, confidence, and understanding how the markets really function. There was only one such trader to accomplish this level of trading that is problem worthy of a Black Belt award. 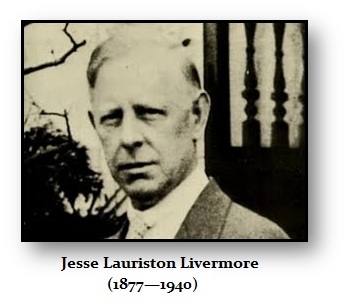 That trader was Jesse Livermore (1877-1940). While Jesse did write about trading, he never captured the indescribable “feel” for market movement in his writings that he clearly possessed. I have tried to capture that in creating our computer program. By looking at absolutely everything, and correlating it all, it is an artificial means of trying to create that “feel” within a computer. Nevertheless, bull markets are always longer than bear markets and that is directly caused by the simple fact that it takes longer to trust something (CONFIDENCE) than it does to lose faith (PANIC). 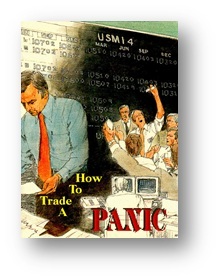 This is human nature and it is the first step in learning How to Trade a Panic. The opponent you really face is yourself – that internal instinct to causes you to run like an animal in a heard at the sight of a lion. To overcome that inherent instinct that will cause you to run with the majority and lose your shirt. This is a unique skill set that is needed to survive. It is what the bankers lack and it is why they keep blowing up themselves. Their solution – do a reverse takeover of government. We, unfortunately, lack that option. It’s OK, for it is better to dance alone than with the devil. HOW TO TRADE A PANIC is the ultimate talent in trading. It is the top of the food chain. The black belt in trading.